I love animals almost as much as gemstones! As always I'm interested in symbolism and specifically here, ideas of power or spirit animals. 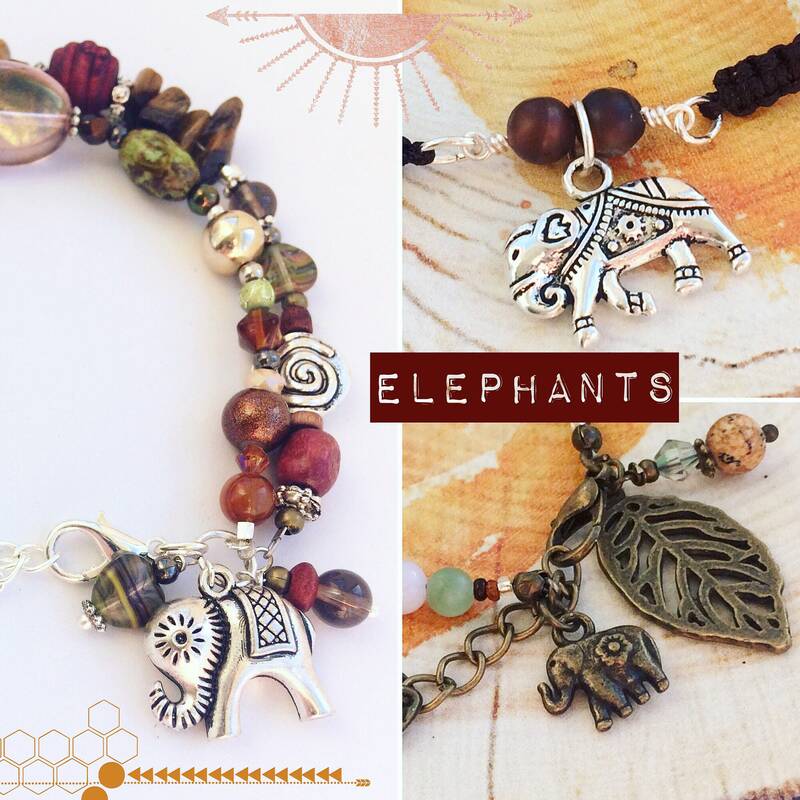 My second animal set (after owls) is elephants. Elephants are a gentle and wise spirit animal. They exemplify focused power and strength. When a elephant begins making an appearance in your life it represents a new, improved relationship with the Sacred Feminine in all Her aspects. 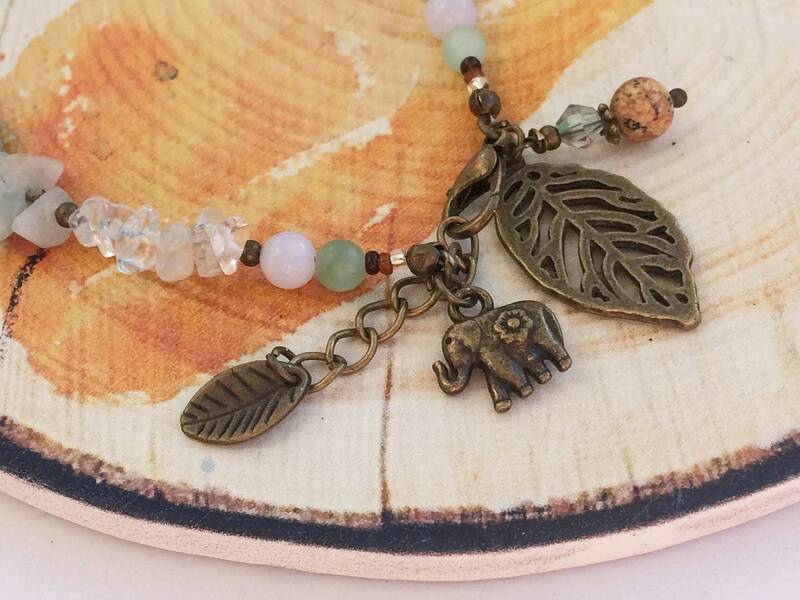 I made three different styles - a two stranded beaded charm bracelet with gemstones and glass beads, a simpler unisex design with woven adjustable nylon thread and a single strand gemstone bracelet. This measures 18cm (7") long and has an extender chain meaning the fit is adjustable up to 21cm (8.2"). 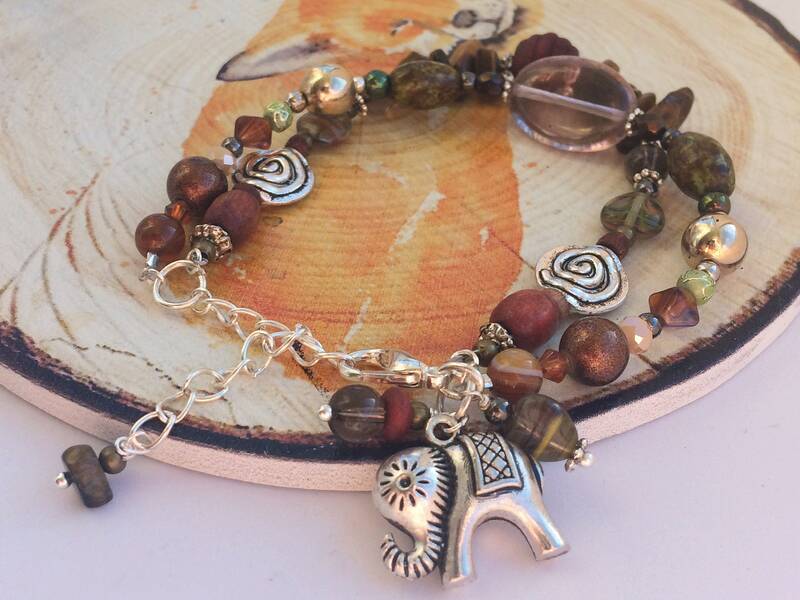 This bracelet has two strands of beads and gemstones strung on strong 'tiger tail' beading wire. 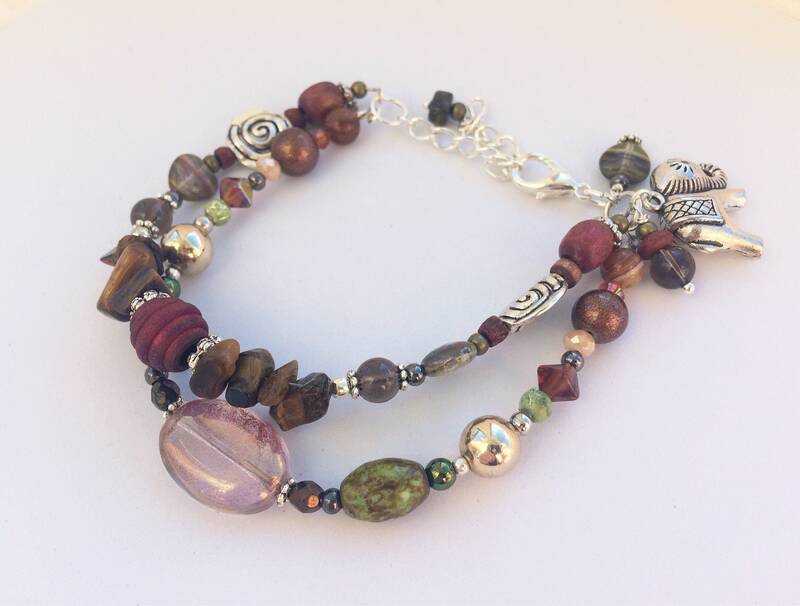 This comprises the following semi-precious gems: tiger eye gemstone tumbled chip beads, smoky quartz and banded agate (brown, caramel and charcoal colours). There are also a selection of glass, acrylic and mixed metal beads in a complimentary colour palette. 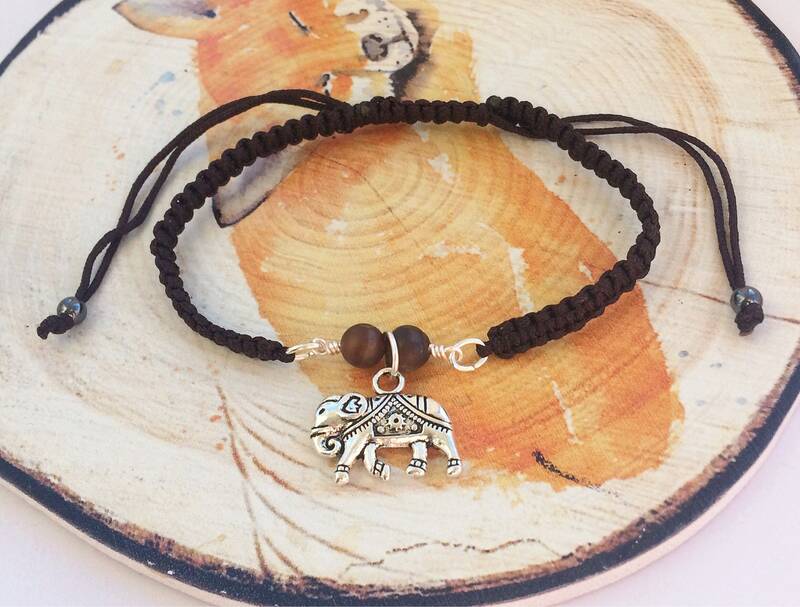 This bracelet has a silver coloured double sided elephant charm sized 19x15mm. The nylon cord is a dark brown colour, about 4~6mm wide and 140~145mm long, an average size for women stretching up to a generous size for men (but probably too big for children). It is adjustable by pulling on the strings, each of which are finished with hematite beads and brown agate gemstone beads of 6mm in the centre. 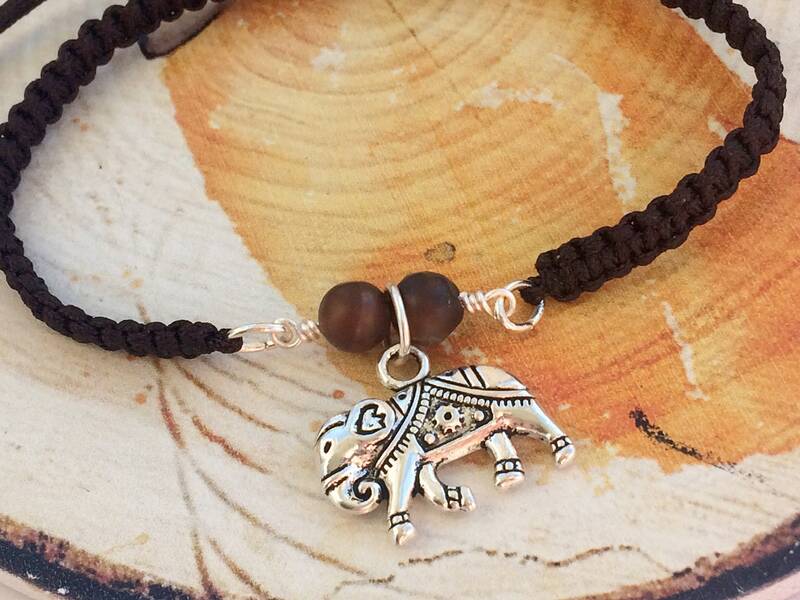 The silver coloured elephant charm is 20x14 mm. This bracelet measures 18-20 cm (7.2-7.8") which is a MEDIUM to large ladies size. It has a central teardrop shaped brown gem paired with picture jasper round beads with a intriguing brown and sand coloured speckled pattern. 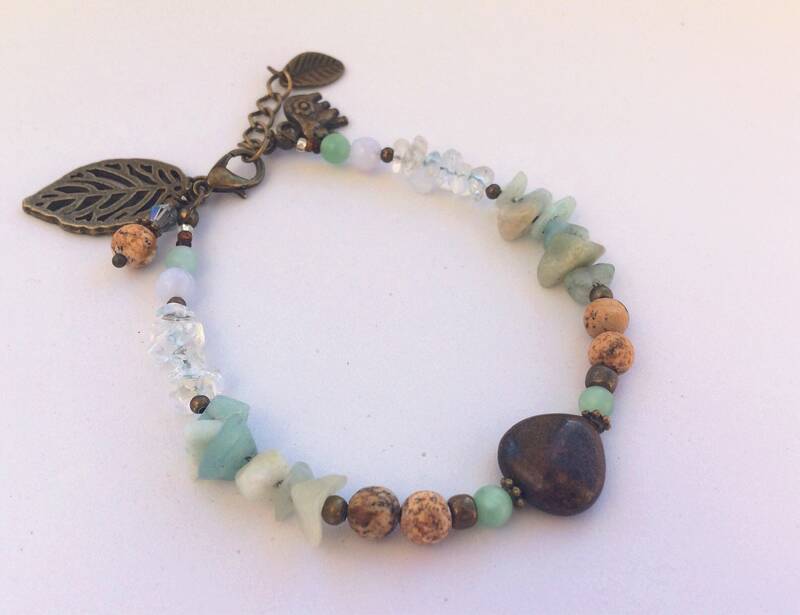 There is also mint coloured amazonite, blue topaz and blue lace agate beads in shades of translucent and opaque pastel blue and green shades. 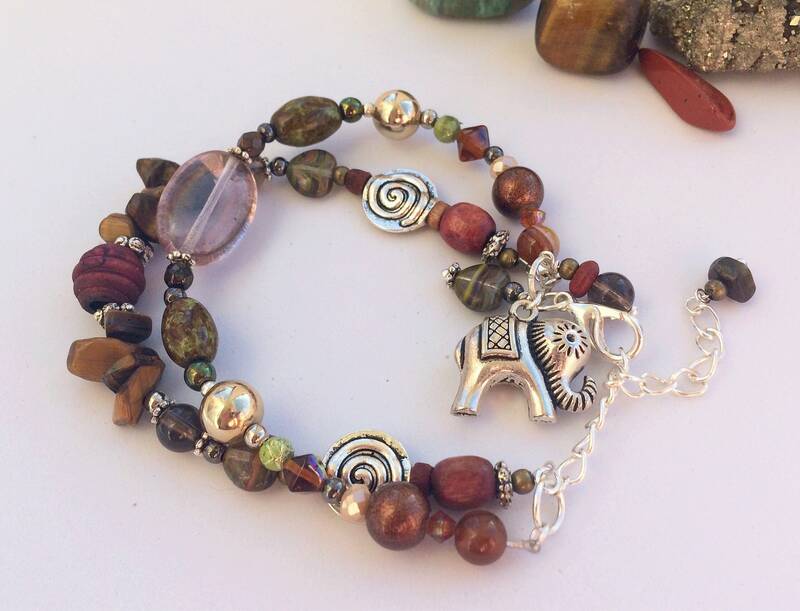 The charms include a bronze elephant, bronze leaf and matching picture jasper bead. 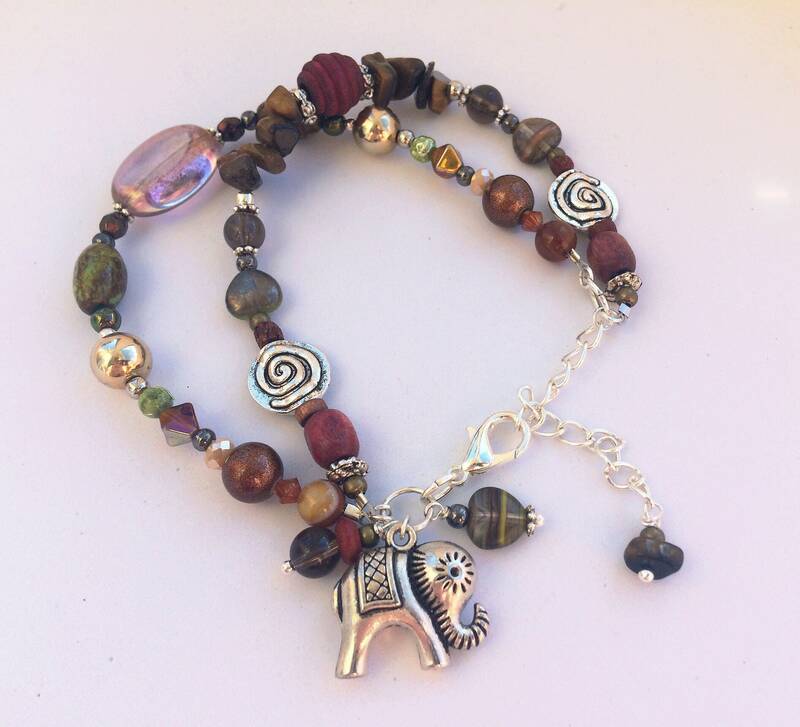 Keep an eye out for more animal gemstone jewellery coming soon. If you want to request something (including necklace, earrings etc) please feel free.